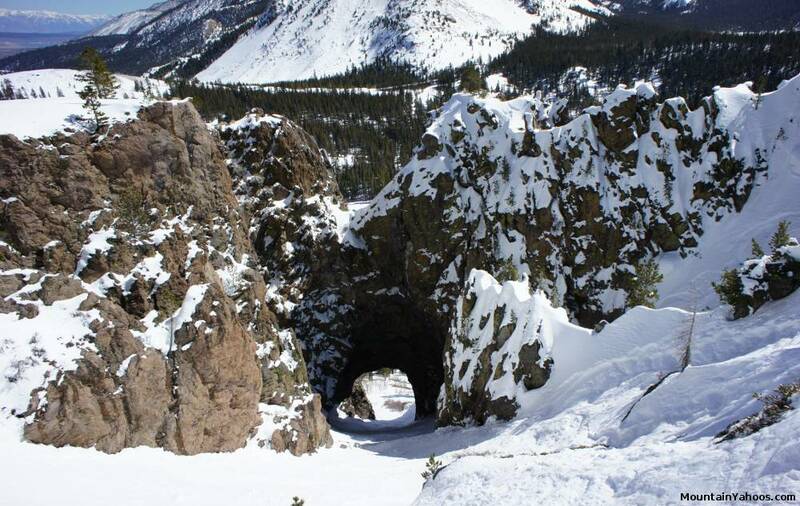 "The Hole In The Wall" at Mammoth Mountain is an out of bounds back country ski adventure for the advanced skier. 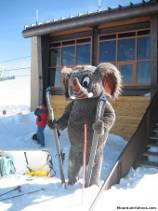 As with any back country endeavor, never ski this alone. 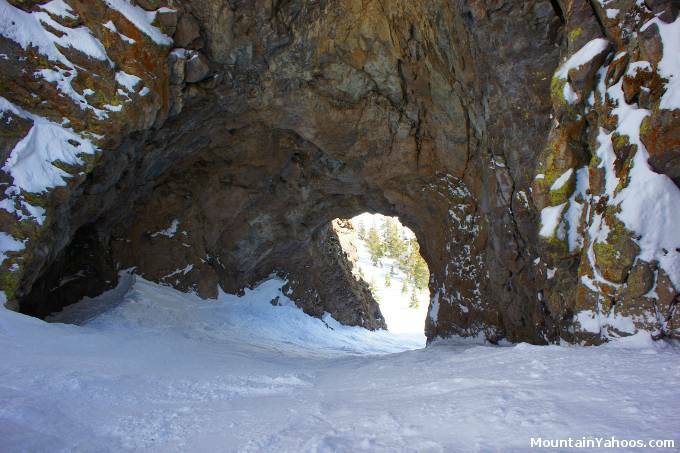 The "Hole In The Wall" is a natural lava tube which formed a hole in the bottom of a cliff which allowed natural erosion to generate a spectacular chute on the back side of the cliff for us to ski (proof that God loves back country skiers). 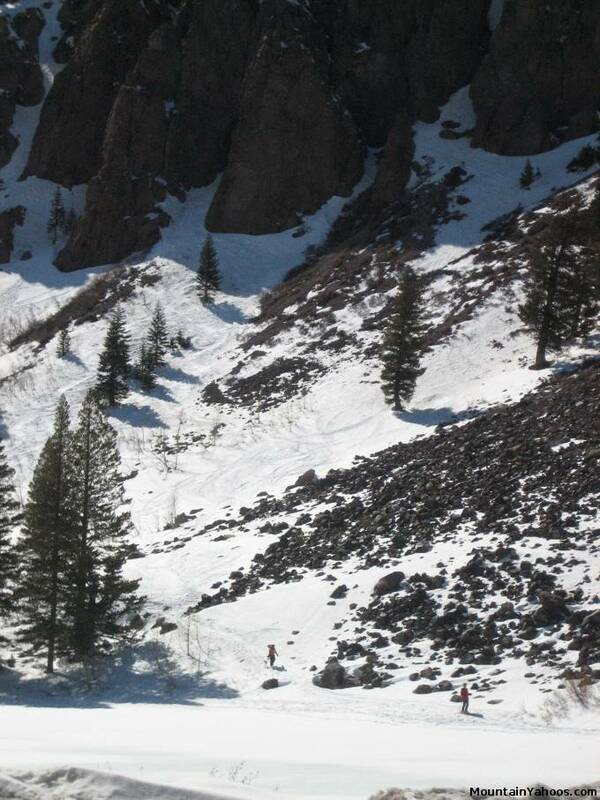 Note that there are no sanctioned guides or tours, the area is out of bounds, the traverse has hazards, the entrance is treacherous and is at a level of an aggressive double black diamond (like the top of the Avalanche chutes) and can lead to unmarked cliffs if your directions are off. 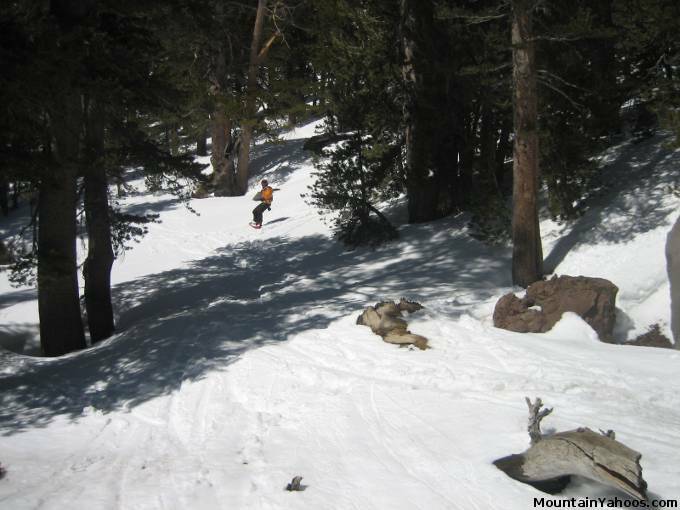 Skiers and boarders can and do get lost during the traverse and path in the woods to get to "Hole In The Wall". 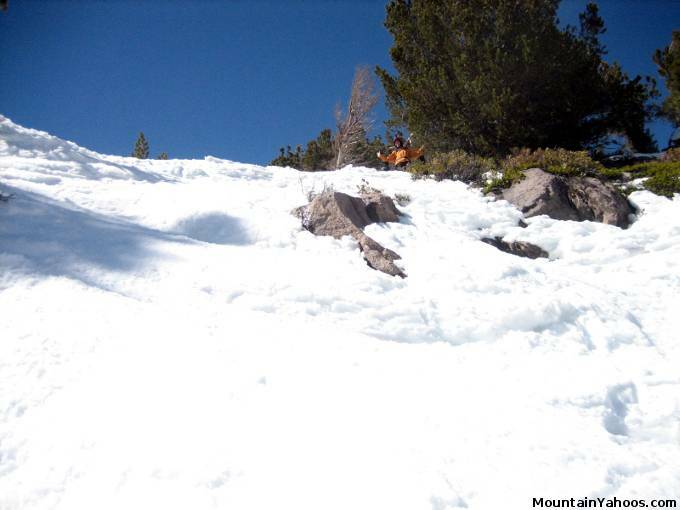 Also, be careful and let someone know that you are undertaking this adventure as they may be your only source of rescue (there are no ski patrol covering this area). 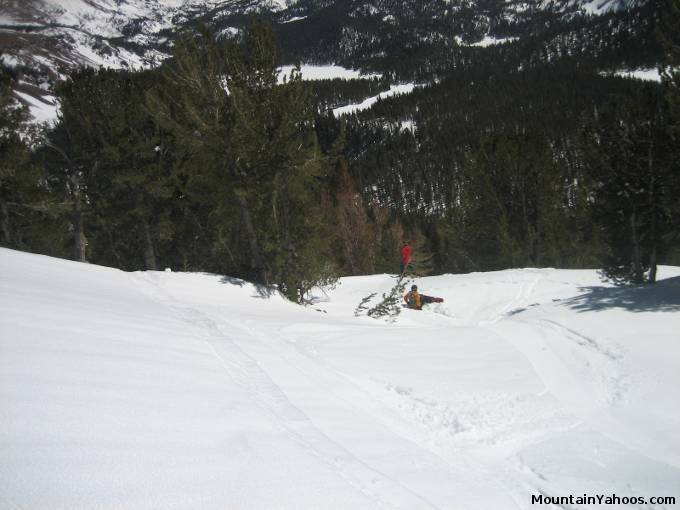 Once you duck under the Mammoth Mountain resort boundary line, you are on your own. 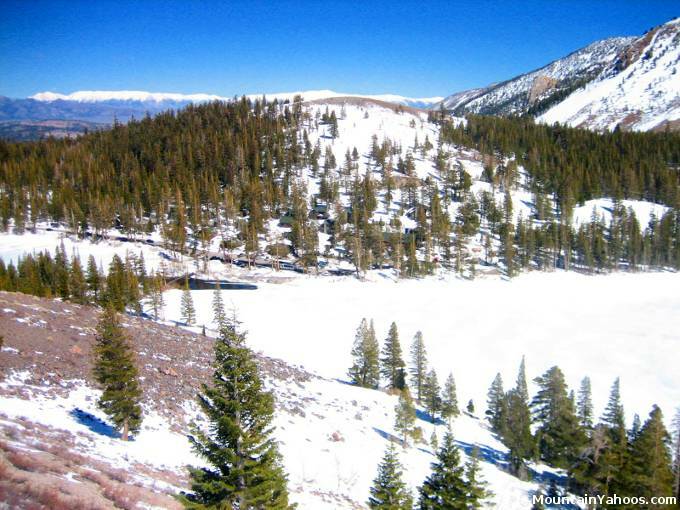 A GPS with the coordinates of Tamarack lodge can help as this is your destination (37.6191,-119.0071) One more risk we must mention is that this "Off Piste" area does not receive any avalanche management (See the Eastern Sierra Avalanche Center and the Mammoth Patrol avalanche links). 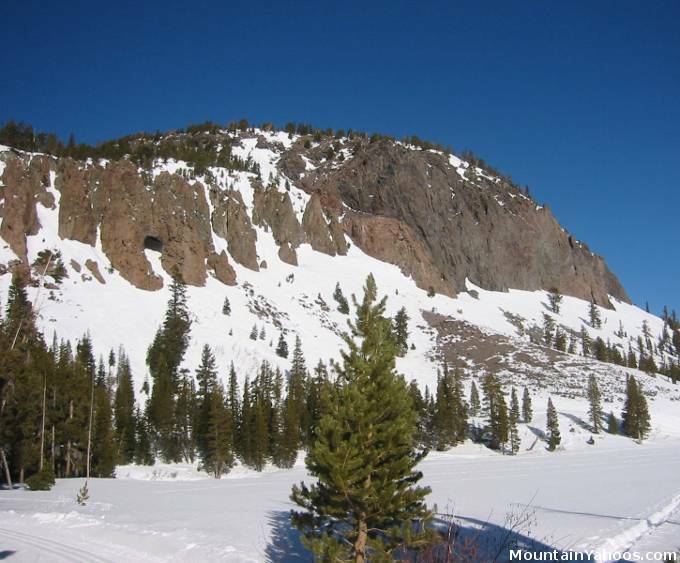 If you want to know how to get to get to "Hole in the Wall", get someone who knows this route to guide you as it is hard to describe the terrain undulations, rock formations and changes in the forest landscape, all of which are indicators of the trail. 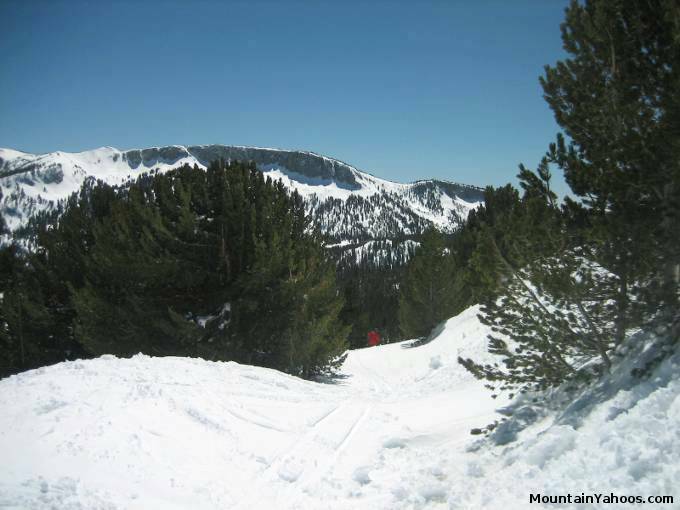 One can start this adventure from the top of the Gondola at Mammoth Mountain California or even from the top of lift 9. 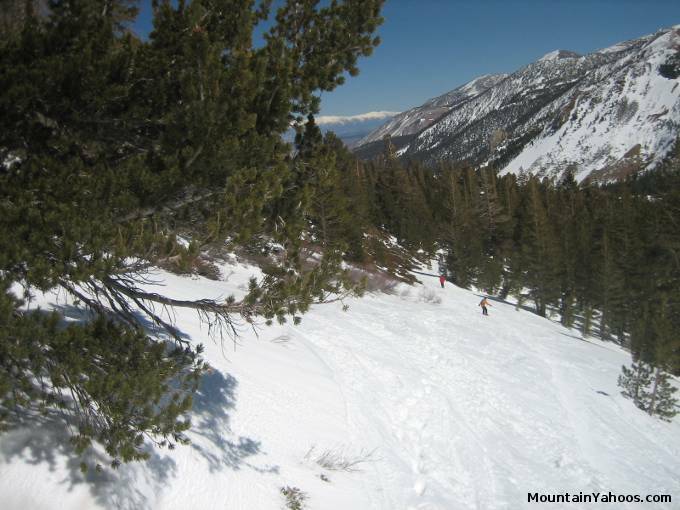 The traverse is on the sunny South facing side of the mountain range and thus tends to have less snow than the resort at large especially in the spring. It is not an obvious path. Make sure your are guided by someone who knows how to get there. 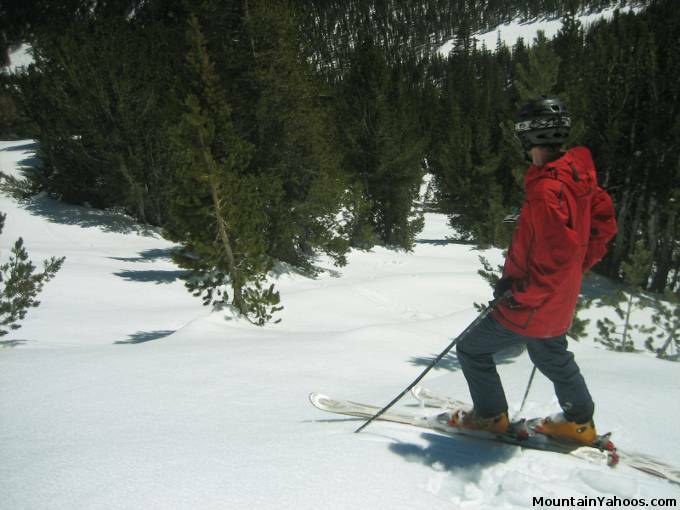 This trail is NOT marked and NOT patrolled! 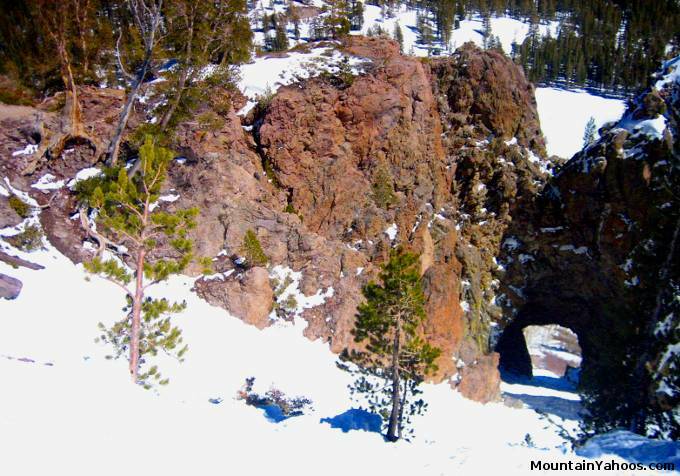 "Hole In The Wall" is on the Mammoth Mountain trail map but it is not marked. Note that most of this area is a large cliff. The cliff is unmarked and it is not roped off. Be very cautious. If you miss the chute which leads to "Hole-in-the-Wall" (actually a hole through the bottom of a cliff), you will end up looking over a cliff which you can not navigate and the hike out is back up the hill and steep. Note the arrow points to the cliff area in which "Hole in the Wall" resides. Upon arriving at the "Hole In The Wall", you may have to stop to acknowledge the beauty and awesome ruggedness of this geological formation, the intimidation of the treacherous entrance and the rocks you could hit if you fall or miscalculate your trajectory. After having descended to this entrance, note that its also a tough hike back if you want to reconsider skiing this steep and narrow conduit. Note that the view looking back up shows the steepness of the entrance. It is best to stop before entering the hole to see how icy it might be. Water often drips from the rock causing the ski surface in the hole to be icy. View looking back up through the hole. 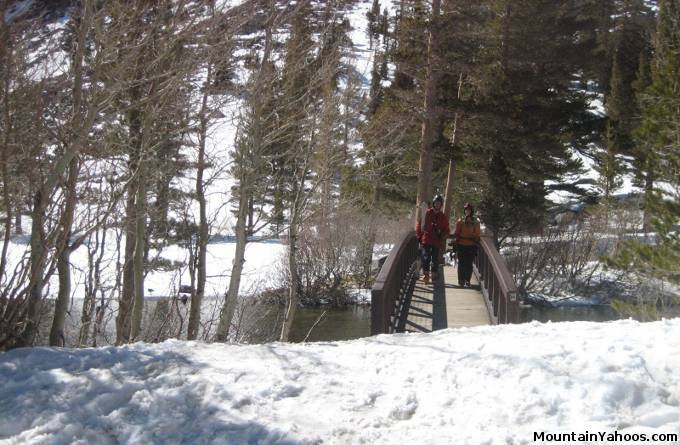 It is now a simple matter of skiing down to Twin Lakes and doing a little cross country to get to Tamarack Lodge (1-760-934-2442) where you can either meet up with pre-arranged ride, walk to the base of the "Eagle Express" lift or catch the Orange line bus which departs on the half hour during the day. 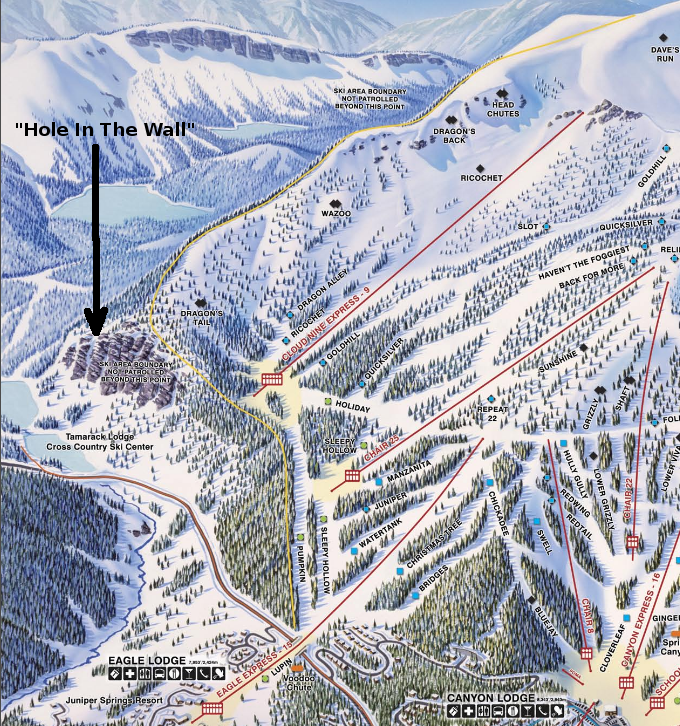 Google satellite view showing the runs and lifts at Mammoth Mountain with a marker on "Hole in the Wall". 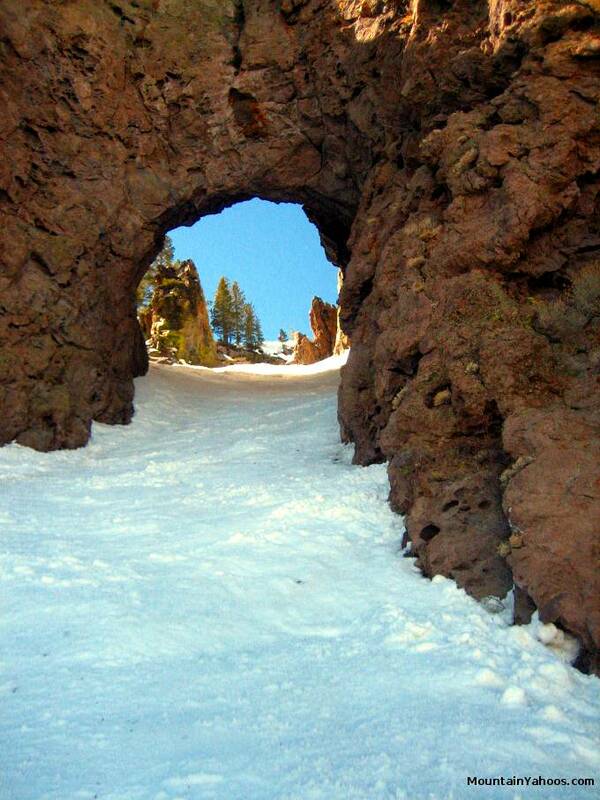 Skiing "Hole In The Wall" at Mammoth Mountain CA.